The Page Unified School District recognizes that the gifted student has special needs and offers differentiated learning opportunities. The Page Unified School District will provide gifted students with appropriate and intellectually challenging curriculum as part of the general education school day. An enriched curriculum with the flexible grouping of students will be used to facilitate differentiated instruction. We will provide gifted students opportunities to participate in enrichment activities. We will provide gifted students with an environment that supports their emotional and social needs by staff who have been trained to work with the unique needs of the gifted child. 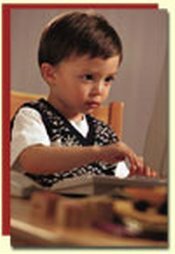 "Gifted pupil" means a child who is of lawful school age, who due to superior intellect or advanced learning ability, or both, is not afforded an opportunity for otherwise attainable progress and development in regular classroom instruction and who needs gifted instruction or advanced supplemental services, or both appropriate gifted education services, to achieve at levels commensurate with the child's intellect and ability. Arizona Revised Statutes, (ARS) Article 4 §15-761. Arizona Department of Education. Select testing instruments and procedures that will fairly assess our diverse student population for programs, special instruction and services. Provide gifted students with the opportunity to achieve at the level of their intellect and ability through the development and implementation of a flexible system of viable program options. Provide training to teachers and staff which will enable them to offer appropriate options and curricula for the gifted students. Identify gifted and talented students from all populations reflective of the local school and community, including low-income, learning disabled, and culturally diverse students. Referrals from teachers, parents, student, psychologists, counselors, and principals are forwarded to the gifted coordinator. All staff can refer grades K-12 at any time of the year. All staff will be specifically asked three times per school year for referrals. Tests are generally given throughout the school year, with exceptions. Assessment data will come from at least one of the state approved tests. Students will be tested in verbal, quantitative, and non-verbal areas. Students scoring in the 97 percentile on any of the three areas are identified as gifted. Any student who has any one of the following known factors affecting the assessment of giftedness; cultural background, linguistic background, socioeconomic status, or debilitating conditions, who did not qualify for services based on the 97 percent but scoring at least 94 percent will result in further evaluation of that student for possible inclusion under Arizona Revised Statute Article 4 Special Education R7-2-406 a. Students who score below the 97 percentile may also be served.